Picked this up thanks to a recommendation from a friend. 100 disks of live Soviet recordings of top tier Russian performers for about $95 US, with cheap shipping. Its soloist and small group repertoire mostly, so not much orchestral work. I considered it rather a gamble, but after playing about a quarter of the disks, recommend it fervently. Sound is good, and spectacular performers, but only for those who like chamber and solo work. (Richter, Kagan, Oistrakh, Kissin, Berman, Shafran, etc). Most of the recordings are 60s through 90s, so sound isn't really an issue. Looks like an interesting set. I wonder if much of it has NOT been reissued before in other packages or mega-sets, such as the Melodiya Richter or Gilels sets? Can you make any judgement on this? How much Richter, Gilels, or Berman is in the set? No sure how you clip and include an image but could this be the same as the 100CD Brilliant Russian Legends box? Could someone provide a link to the Japanese website that's selling this? Can someone post a photo of the BRILLIANT box that is talked about here? I went to Amazon/Japan, set it up so that everything is showing in English, and found that boxed set that way, otherwise it is all in Japanese. I don't believe there was a listing of the contents of this Soviet box, just a photo of it. But it is NOT like the Japanese to sell anything cheaply on their site unless this DOES duplicate the Brilliant box set. I can't recall that I ever saw that Brilliant box, but I have nearly all of the Russian-released Brilliant sets that came out ... pianists, conductors, etc. Some of them are very pricey now. 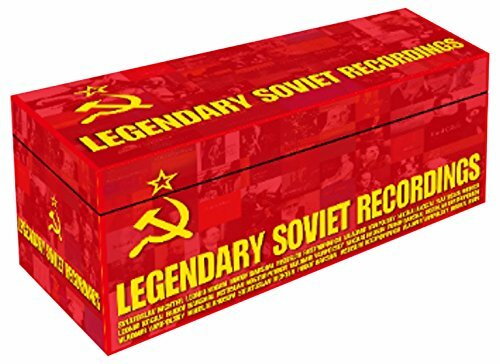 The Brilliant Classics box (which I have) is different from the Legendary Soviet Recordings box though I imagine that there would be some overlap. The Legendary box is from Yendang and does, I believe, include the famous Richter/Borodin Trio recording of the Dvorak Op 81. The BC box is all about soloists including Richter, Berman, Gilels, Kissin, Oistrakh, Shafran, Kogan, Tretiakov, Rostropovich, Kremer while the LSR box includes concerti and chamber works as well. The list of performers, from what I could see on one of the websites, is much larger and includes conductors. Hmm. I'd be willing to bet Japan Amazon took most (if not all) of the discs licensed to them from the Russia, which also Brilliant Classics did. Only problem with ordering the Japanese set is that it may contain most of what those of us who acquired the individual sets already have. How I detest having duplicates of things! Still, it is probably an excellent buy. 5.0 out of 5 starsThe Russians are coming! The Russians are coming! More information on these individual sets can be found at here at Amazon and at prestoclassical.co.uk. Having bought this set from an Amazon third party seller at an average cost (including shipping) of 57 cents per CD, this represents the best buy I have ever made in over forty years of music collecting! These truely legendary Russian artists truely put thier hearts and souls into these live performances. What I have listened to so far is incredible! HIGHLY RECOMMENDED!! DONT WAIT!! BUY AND ENJOY!! Yedang is actually a Korean company. All of the recordings are licences from "Pipleline Music Inc." which is the same company the Brilliant box recordings are licensed from. This is definitely NOT just a copy of the big 100 CD Brilliant Russian box, but there is definitely some overlap, but I don't think too much. This has artists like Arturo Rubinstein, Ashkenazy, Postnikova, etc, who aren't even in the earlier box, not to mention conductors. However, if you have all the individual Russian Brilliant boxes, maybe you have everything here, I don't know. However, if you don't have a lot of the cheap Russian boxes (or any of them! ), this is a spectacular bargain. There is no book or documentation of any kind, but the sleeves are attractive and made of a sturdy plastic/paper hybrid(? ), with decent photos on them. Many of them are dark, with small dark printing on them, so it can be a pain in the neck to read the contents. The disk themselves have photos of the artist on them, which I've never seen before. At the risk of giving you a callous on your scrolling finger, i will attach the contents here. It is long, and Google translated from a Chinese website--some of the spellings are wonky. Debussy: Two excerpts of "King Lear", prelude to "Pelias and Melissa"
Beethoven: Ninth Violin Sonata "Croce"
Shostakovich: The seventh symphony "Leningrad"
Mendelssohn: The Fourth Symphony "Italy"
Saint-Sang: The third symphony "pipe organ"
Indeed, some of the verbiage is "wonky." I guess that happens in translations. I do note that Postnikova has not (to my knowledge) had any previous Brilliant boxes, and since all of these recordings are apparently "live," some of that material would otherwise be unavailable. I have, nonetheless, canceled my order with Amazon/Japan. They were preparing the shipment as I canceled so there is still a chance it already went out the door. One really has to be careful with some of these mega-sets being issued. I am curious about what "Arturo" Rubinstein does in this box and wonder if that material has even been reissued before. Perhaps I should go back through your listing in the Chinese translation. I'll have to see if that has ever been issued elsewhere. I try to collect anything and everything ever recorded by Artur/Arthur Rubinstein. 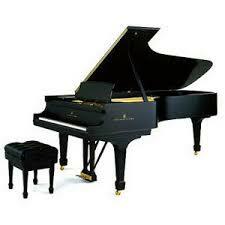 He is my "god" of the piano. Lance, I agree you don't need another mega-box! BTW, the Rubinstein is disk 61 "Live all Chopin recital in 1964"
Disk 99 says something like "Agric" and that is none other than Argerich. I'm listening to a symphonic disk now--Gennady Rozdestvensky conducting Roussel Symphony 1 and 2. I don't have anything by GR or Roussel. Obviously a great box for me, but probably unnecessary for you and other Russian Music collectors. The Rubinstein was initially issued by the Russian Revelation label about 20 or so years ago I know this because I bought it. It’s all the Chopin from the legendary October 1964 concert in Moscow. It has since been released as part of the 142 CD Rubinstein Collection which also includes the encores missing from the RR CD. You can also view it on YouTube as the Russians filmed the concert. When I get time I’ll see how much overlap there is by going through my Russian Legends box. OK, here goes. I will be highlighting the overlaps as it will take less time. Last edited by Holden Fourth on Fri Jun 22, 2018 10:22 pm, edited 1 time in total. Part 2 of this message so that you don't have to keep on scrolling down. There are, according to my calculations, 20 CDs where the two collections overlap. There were also a few (about 5 or 6) where there was only a one year difference between supposed recording dates but as these are live recordings and musicians retain a concert program for a while they could also be different so I didn't include them. There was certainly repetition of repertoire between the two sets but widely recording dates. I was expecting a big overlap with both Richter and Gilels and was pleasantly surprised that there wasn't. One other issue is that for a few recordings in the LSR set you couldn't tell if it was Igor or David Ositrakh. Only David is represented in the Brilliant box set. I'm actually considering purchasing this but will wait a few days. Wow! Nice work! If it is as good as this, I will try to find a second-hand copy of the older box. I don't want you to go through all this again, but do you know off the of your head if a lot of of this material on smaller Brilliant boxes? As an odd (and rather sad) coincidence, there were recent posts about the passing of th e conductor Rozhdestvensky. I had no idea who that was--and then, lo, as I work through this box I hit on a series of 18 of his disks. Now I can mourn him too. Many thanks for all the hard work on this topic. I decided to order the box, but was defeated by amazon Japan's requirement of a "postal code," which I could not enter, as it consists of two groups of four numbers. Their address insisted on a local Japanese code, which tells me they're not willing to ship items to the USA. Maestrob, you should contact amazon.co.jp Customer Service via Help. They can help you through the process. Once you get set up, you'll have a login that will differ from the one for other Amazon sites but ordering will be easy. Thanks, John, I'll give it a try later. Judging by the dates and the reference Oistrach and his son, they are all David except some of that one disk of duets. The dates suggest that they are studio recordings available elsewhere. Can't wait to here these. Turns out that is the Italian-Chinese-English result of "Andante Spianato and Grande Polonaise Brillante"
Schumann: Theme and Variations on the name "Abegg"
Chopin: Waltz No. 14 in E minor, Op. Post. Also, each box contains a performance of the Dvorak Cello Concerto in B minor, Op. 104 with Mstislav Rostropovich conducted by Boris Khaikin, but list different dates June 23, 1957 (RL) and July 10, 1957 (LSR). The performances do not sound the same, the latter having better sound and Rostropovich sounds a bit more expressive, with more depth and color to his tone. Tempi are similar in both. Both are in mono. There is a stereo recording of this concerto with Rostropovich and Khaikin recently issued by Melodiya in its Young Slava box. None of the recordings conducted by Svetlanov duplicates material in the 10-CD Brilliant Classics Svetlanov box.Same is true for Gauk, who only appears in two recordings in the LSR set. I can't speak for sure to the Brillian sets for Rozhdestvensky and Mravinsky, but judging from the listings in photos, theew doesn't appear to be any duplication there either. There is very little Mravinsky in the LSR collection, but a lot of Rozhdestvensky. Igor Oistrakh has one solo disc in the LSR collection containing 3 of J.S. Bach's Sonatas for Violin and Harpsichord (BWV 1017-19) with Natalia Zertsalova. Thanks John for that massive amount of very helpful work. A few comments about the packaging of the LSR collection. Each CD is housed in a glossy paper sleeve that reproduces the booklet cover photo of the original Yedang CD. They are nice to the touch and generally attractive. However, frequently the contents on the back of each disc are listed in a font color that contrasts poorly with the background so a magnifying glass proves helpful. The listings are in very good English there aren't a lot of typos. There is no booklet listing the contents, but they are roughly arranged by artist--not as rigidly or as visually as they are in the Brilliant RL set. The box is very sturdy. I was happy there was no duplication in the Leonid Kogan material--the first disc opens with an intense performance of Beethoven's "Kreutzer" Sonata, accompanied by his daughter Nina. One of the best I've heard. So far, I'm pleased with this set which was about $95 U.S., including shipping (which to the West Coast took less than 3 days and the first stop on the way was Cincinnati, OH--go figure).